“This business of saving souls has no ethics“, writes Richard Wright as he recalls how the entire weight of his community was brought down upon him for rejecting Christianity. Wright is certainly not the first person to point out hypocrisies committed in God’s name, and the cogency of Wright’s irony exposes his utter contempt for organized religion. 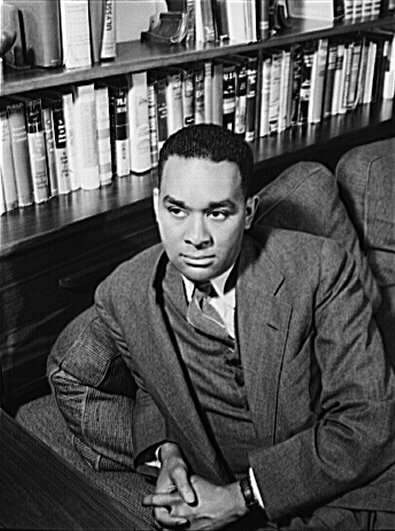 As the author sees it, Christianity is merely one of several methods which society employs to enforce submission upon the masses in general and upon Richard Wright in particular. Black Boy is overflowing with social forces designed to break Richard Wright down—domestic violence, white terrorism, the media, the school system and the black church all conspire to bridle his spirit. This only makes him angrier and more productive. For a man who wears the scars of nonconformity as a badge, Wright’s unwillingness to submit to God is perfectly consistent. Like any memoir, Black Boy is an amalgamation of fact, fantasy, and recollection. But this particular autobiography has a remarkably consistent theme: Always the rebel, Richard Wright heroically reveals all forms of human hypocrisy and confronts every injustice perpetrated against him. The institutional repression of the church is just another cross for him to bear. Wright’s descriptions of the black church seethe with hostility as he chooses to see only the most negative aspects of religion. He is “disgusted” by the “snobbery, clannishness, gossip, intrigue, petty class rivalry, and conspicuous displays of cheap clothing” which he encounters in church. Of course, with the possible exception of “cheap clothing,” these phenomena are apparent in all human institutions. It’s just the way people are. And this vituperation for the church is a function of Wright’s deep–seated misanthropy. It is disheartening that Wright’s quest to slay all dragons prevents him from experiencing the virtuous aspects of organized Christianity. He is absolutely blind to the worldly fellowship, charity, comfort, hope and spiritual fulfillment religion has to offer. And the immense beauty of religious art and music are completely lost on him. As Wright sees it, “(t)he naked will to power seemed always to walk in the wake of a hymn”. But this cannot be dismissed as a simple outgrowth of Wright’s Marxist/humanist philosophy. Many confirmed atheists are willing to concede that organized religion can be beneficial to society in various ways despite the plethora of grievous wrongs committed in its name. (Full disclosure: I am a devout deist, but I reject the smugness with which many of the so-called New Atheists attack religion.) The roots of Wright’s profound enmity towards the black church stem from the part of him which could never find solace in groups, not even in a political party which reflected his beliefs. This entry was posted on April 20, 2012 at 6:25 pm and is filed under Essay, Morsel. You can follow any responses to this entry through the RSS 2.0 feed. Responses are currently closed, but you can trackback from your own site.